146 Sunshine Drive, Mooresville, NC 28115 (#3406792) :: Robert Greene Real Estate, Inc.
Back on the market due to contingent offer falling through. Motivated seller! Large lot with plenty of room to add detached building or garage further back on property.This home is conveniently located between hwy 150 full of shopping and hwy 115 and still retains a private country feel in a small neighborhood. 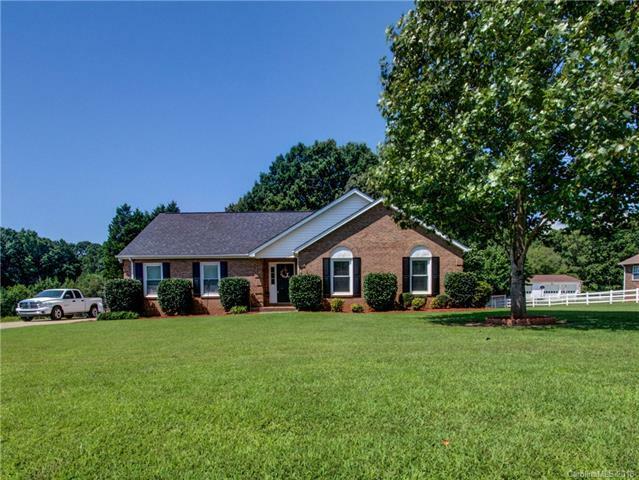 The 1.5 story full brick home sits on 1.4 acres in award winning Mooresville Graded School District! Low county taxes and NO HOA. Additional bonus room is located over the garage. Bamboo hardwood floors throughout, quartz coutertops in the updated kitchen along with plenty of cabinet space. New HVAC in 2015 w/5yr manufacture's warranty. New roof in 2012. Windows have also been updated. In addition this property would bring great rental income and there are no max on amount of rentals aloud in CCR's. Sold by Anchor Real Estate Llc.